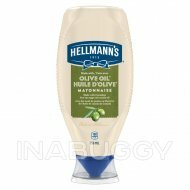 Savour the delicious combination of subtle olive oil with the creamy, rich Hellmann's mayonnaise taste you love. 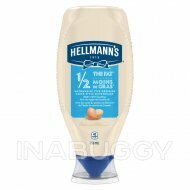 Hellmann's with Olive Oil Mayonnaise Type Dressing is proudly made with real, simple ingredients like 100% free run eggs, canola oil and vinegar. We know that to really Bring Out The Best, we need to do more than just taste great. 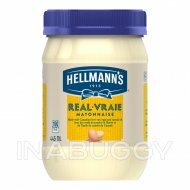 That’s why our delicious Blue Ribbon Quality Mayonnaise -Type Dressing is made with simple, quality ingredients, like Canadian free run eggs, and canola oil from the Prairies. Even after 100 years, we’re still committed to using premium ingredients to craft the highest quality products. It's simple. 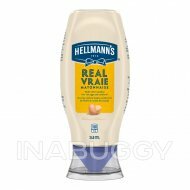 We use our finest, real ingredients in Hellmann's Olive Oil Mayonnaise -Type Dressing. It is a source of Omega 3 polyunsaturated fat and is also gluten-free and certified kosher. 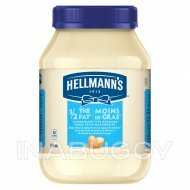 It contains no trans fat, and is low in saturated fat and cholesterol. 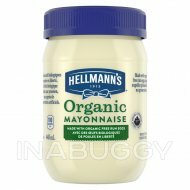 Enjoy the delicious creamy taste of Hellmann's Olive Oil Mayonnaise -Type Dressing as a sandwich spread, or in a recipe , to elevate your favourite foods. It’s the ideal condiment for spreading on sandwiches and wraps, grilling juicy burgers, mixing creamy dips, and preparing fresh salads. Discover our mayonnaise recipes , products, information about our sourcing, and more on our website, Hellmanns.ca.